Chandler Real Estate is waiting for you! Are you looking for the best homes for sale in Chandler AZ based on your particular budget and lifestyle needs? Well, you’re not alone. 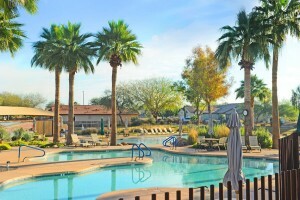 Often ranked one of the best places to live in the United States, Chandler offers nice weather, lots of activities and entertainment for all ages, job opportunities, various housing options, and more! Located in Maricopa County as a Phoenix suburb, this city has a population of approximately 254,276 per the 2014 Census. The media sales price is $265,000, and there is a lot of competition for the best properties. With this in mind, how do you discover Chandler real estate that is perfect for you? Find a local, experienced expert to help you. Sure. You can do a lot of research and find a lot of background information on the popular, Chandler real estate sites out there. But how are you going to know the inside details about the neighborhood, schools, taxes, and more? And even more important, how are you going to find new properties before they appear online? If you want a competitive advantage, find an experienced and licensed REALTOR® who lives in the area. This person can give you insider information you can’t get anywhere else, and they know about many great homes before they become available to the public. Be open to various types of properties and amenities. While you may have your heart set on a specific type of home with a state-of-the-art kitchen, great views of a golf course, a pool, and more, keep your options open. Your real estate agent might find home s for sale in Chandler AZ that fit your lifestyle and budget that you may not have considered previously. Specifically, a good REALTOR® will discuss your unique, lifestyle needs and budget with you carefully before the search begins. This way, when a potential property comes on the market that they think you will like, they can present it to you immediately. You may not have thought about a certain style of home with an outside barbeque/kitchen area, extra guest room, or other amenities. But with a good real estate agent who gets to know you and what you want, your house options increase. Who knows? You may be pleasantly surprised at what your final, dream home ends up being! When your dream home becomes available, you need to be ready to buy it… before the competition does. With this in mind, know exactly how much you have to spend in advance. What kind of financial options are available to you? Have you been approved for a specific home loan amount? If you haven’t already done so, meet with your real estate expert to discuss bank loans, mortgage fees, and other, important information. After all, you want to have this out of the way so you can place a good offer on your dream home as soon as it is available! Are you ready to see the Homes for Sale in Chandler AZ? If you want to live, work and play in this popular city, you can find your perfect home and start realizing your dream! However, there are a few things necessary to help you save time, money and hassle in the process. Find a local real-estate expert who lives in the area, can give you insider insights and discover exactly what you want. And be open to various types of homes and amenities. This way, you’ll have more options available to find your perfect home. Also, know your financial situation in advance. Get pre-approved for a loan, see if you can pay upfront with cash only and more. Figure out exactly how much you can afford and how you are going to pay for your new house. Now, are you ready to check out some fantastic Chandler real estate? 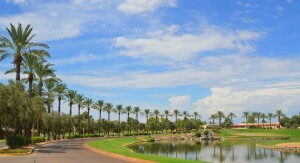 Want to get the inside scoop on Chandler properties? Sign up for our free, eNewsletter here.